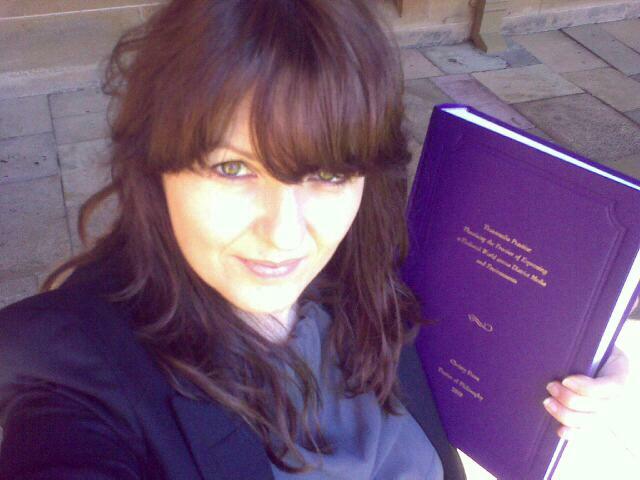 In 2009, I submitted my PhD on transmedia practice. It is titled Transmedia Practice: Theorising the Practice of Expressing a Fictional World across Distinct Media and Environments. I’m now putting it online for researchers and practitioners interested in this area. Here is a direct link to the PDF for download [it is print-ready quality = 24mb]. I welcome any thoughts you may have. In the past few years there have been a number of theories emerge in media, film, television, narrative and game studies that detail the rise of what has been variously described as transmedia, cross-media and distributed phenomena. Fundamentally, the phenomenon involves the employment of multiple media platforms for expressing a fictional world. To date, theorists have focused on this phenomenon in mass entertainment, independent arts or gaming; and so, consequently the global, transartistic and transhistorical nature of the phenomenon has remained somewhat unrecognised. Theorists have also predominantly defined it according to end-point characteristics such as the expansion trait (a story continues across media). This has resulted in the phenomenon being obscured amongst similar phenomena. Therefore, rather than investigate the phenomenon as it occurs in isolated artistic sectors and with an end-point characteristic, this thesis investigates all of these emergences through the lens of transmedia practice. That is, this thesis investigates the nature of transmedia practice in general, according to the way practitioners conceive and design a fictional world to be expressed across distinct media and environments. To do this, this thesis draws on the semiotic theory of multimodality and domains of practice (Kress and van Leeuwen, 2001) to illuminate the unique knowledge and skills of practitioners involved in the design of transmedia projects. The industrial and aesthetic implications of the employment of distinct media are discussed, along with their semiotic activation. Related theories such as hypertextuality and transfictionality are problematised in light of transmedia phenomena. Since the phenomenon involves both narrative and game modes, a new methodology is introduced to study their presence at various stages of design: transmodality. The employment of the actual world in transmedia practices is discussed in light of Aristotle’s dramatic unities and through deictic shift theory. Through research questions from media, narrative and game studies as well as semiotics, this thesis aims to explain how transmedia is a peculiar practice that demands its own research area and methodologies. What does Distinct Media Mean?